The GCHQ — Britain’s secretive agency of intelligence experts — wants to find new spies. To make sure it has a candidate who’s up to scratch, the agency is inviting hobbyist cryptanalysts to try and break a code online. 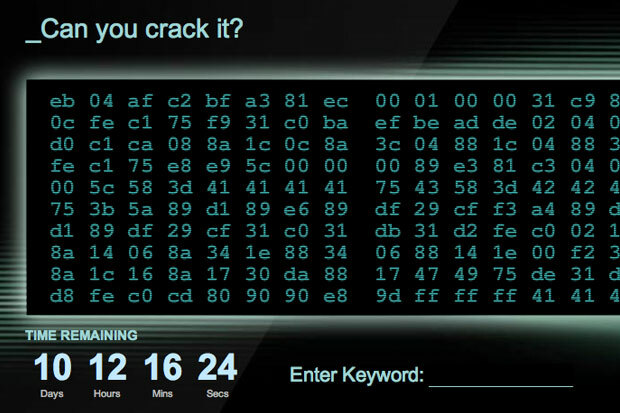 A website called “can you crack it” is being spread through a viral campaign around social networks like Twitter and Facebook. The site shows a seemingly senseless jumble of 160 pairs of numbers and letters, and a box to enter some kind of answer.